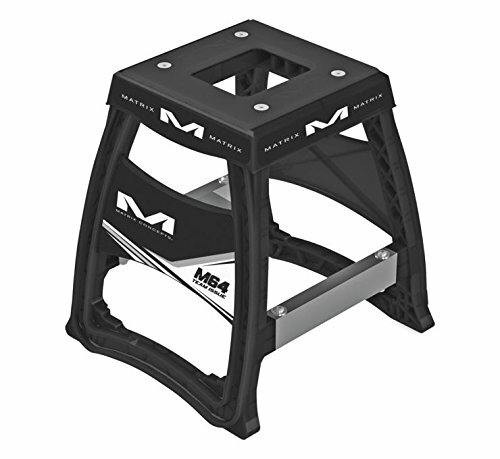 The next generation of lightweight composite bike stands. Design allows inter-stacking for easier transportation and storage. Removable/replaceable top pad. Injection molded from a high strength, lightweight special blend of polycarbonate plastic. Large graphic side panels that can be customized with your name and number. Extra wide feet prevents rocking making this design very stable. If you have any questions about this product by Matrix Concepts, contact us by completing and submitting the form below. If you are looking for a specif part number, please include it with your message.